While virtual roulette tables have come a long way, the live dealer casino roulette experience really does take things to a new level. In fact, once you play the live dealer games, those old virtual games seem very flat and boring in comparison! After that a walk-through of how the live streamed games work, from the perspective of someone that knows roulette and wants to know more about this area. 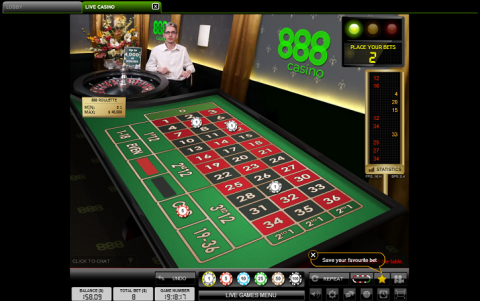 Next different games you can find, including regular, high-roller, auto-roulette and immersive roulette games. Pros and Cons follow that, including information on bonuses and promotions especially tailored for this game. The core concept is that a real dealer spins a real roulette wheel under a HD camera from one of many casino studios around the world. You get to bet with your mouse, by clicking on the chip denomination and then on the betting grid. Once the spin is completed your bets are automatically settled by the software – and you are ready to bet on the next spin. Which studio you play at will depend on your location and the casino site you choose. Some casinos are big enough for their own branded tables (or even their own studios in the case of PlayTech). Most share tables from specialist companies, who make the economy of scale work. The biggest of the live dealer casino specialists are Evolution Gaming and Vegas Technology. It helps with connection speeds to be near your studio, so you’ll find them in Central America, Europe and Asia – each looking after different geos. To a lesser extent this helps keep the games running 24 hours too. Most European studios are in Riga, the capital city of Latvia. Attractive female croupiers are a big draw, though there are plenty of male dealers too. There are several options while you play. The main difference with the virtual games is that you have a chat option. You can use a text box (which appears on the screen beside the dealer) to talk to either the dealer or other players. Dealers will interact by speaking. You can also change the camera angle, bring up the history of the last spins or your last bets and call support should you hit any technical glitches. In my experience the software works very smoothly. A key factor to keep in mind is that the spins are timed. Unlike the virtual games, if you do not get your bet on in time, then the game continues without you. If you are used to being the one to decide when the wheel spins, then you’ll need to get used to this aspect. Since many people are betting on the same spin, there is no need for you to play every time – and you are welcome to just watch if you prefer. I will leave the discussion about European vs US wheels and the house edge elsewhere and focus on the different games available online. First a word about the stakes, which are a little higher than on many of the virtual games (the dealer and technology needs to be paid for somehow!). If you are betting on outside (evens or 1/3 chances) spots then these are $5 (you can still find the occasional $2), inside (numbers) bets are $1 and up at most casinos. High Roller Live Dealer Roulette: You can find some games with huge buy-ins regularly spread online. For example 888 offers $10,000 bets via their regular interface. If you want to go even higher then register an account and then e-mail support and ask to speak to one of their VIP managers. Immersive Roulette: This is essentially a regular roulette game, with some special effects. The slow motion replays of the final bounces of the ball and visual effects make this feel a little more intense than your regular games. 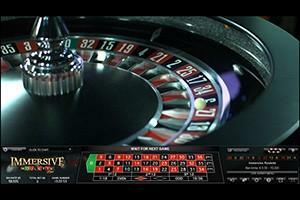 Immersive roulette is available via Evolution Gaming (which can be accessed through the excellent 888 Casino). Auto-Roulette: This game does away with the dealer altogether. Here the camera is trained on a wheel with a dome that spins itself every 30 seconds or so. Even faster than the standard game, though it does lack some of the social element. I’m personally a big fan of the live dealer table games – though I will make sure that the pros / cons section here is unbiased. This game is slower than the virtual games, by a small though noticeable margin. The timed spins also take away that element of personal control, if you miss a spin by mistake and see your best number come in it can be very frustrating. For many players the increased betting amounts compared to the virtual game can also be an issue. Finally, the chat is usually friendly and often entertaining, now and again you’ll get an idiot berating the croupier – sometimes even getting personal about it. This can really spoil a game for everyone. As I said in the intro, you’ll find the virtual games very dull after you get into live dealer games. The social aspect and fact that the game feels so alive compared to playing against a ‘random number generator’ really does make a difference. For many players seeing the spin helps to dispel any lingering doubts about whether results are truly random. The biggest positive of all is that many casinos are so sure you will enjoy their live dealer games that they offer you free chips to try them out. BetOnline.ag, who are the leading brand offering live dealer Roulette to US players offer $25 in free play bonus money to try out their live dealer games, see www.betonline.ag for more. If you are outside of the US then you can take advantage of the $88 free from the 888 Casino. This is for the virtual games, though extra promotions for the live dealer tables come around very regularly too. Check out www.888casino.com for the latest offers.